An original miniature used in the production of Joe 90, the 1968 Supermarionation television series created by Gerry and Sylvia Anderson. 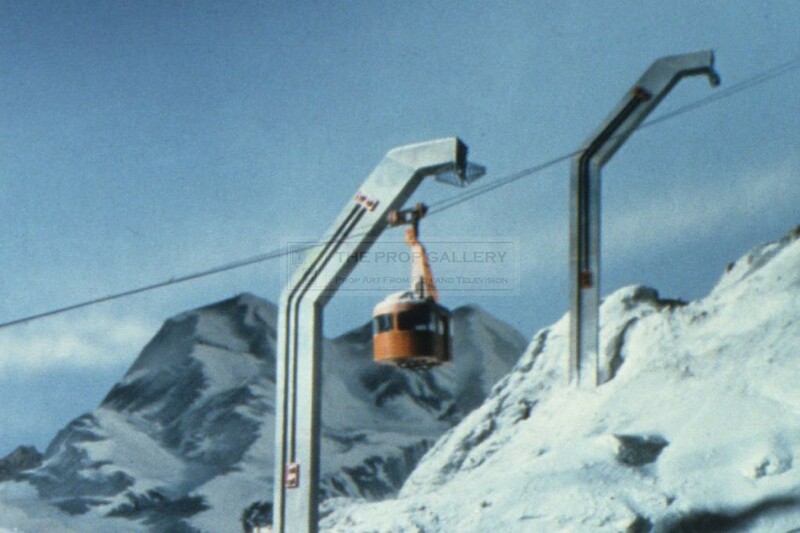 This is the original cable car which allows access to the Darota Clinic in the episode Project 90 and is used by Darota and Kurson to flee the facility before being captured by Sam Loover and Shane Weston. 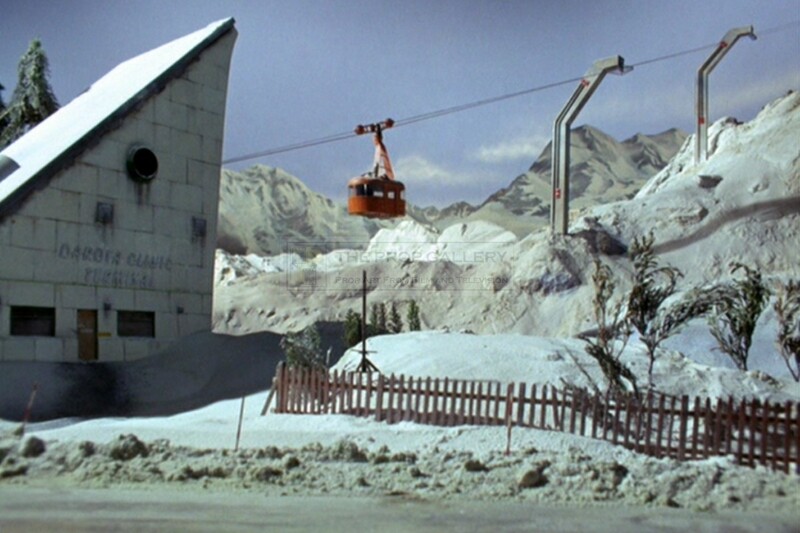 The miniature was built by the talented Century 21 visual effects team headed by noted designer Derek Meddings and is constructed from heat formed acrylic with a hand made hanging gear of metal which features a wooden fixing block and a metal base plate which is bolted through the top of the miniature. 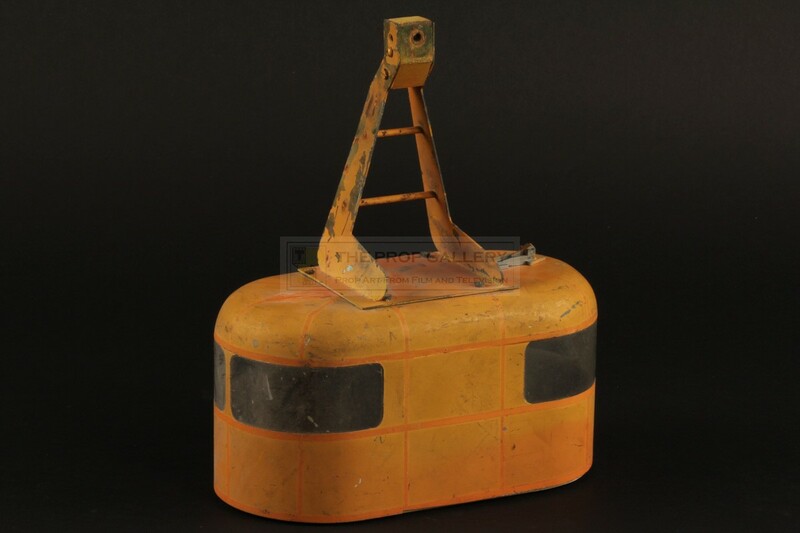 The base of the miniature is also of acrylic construction with applied kit parts, some of which are now lacking, and is screwed in to two wooden blocks located inside the model. 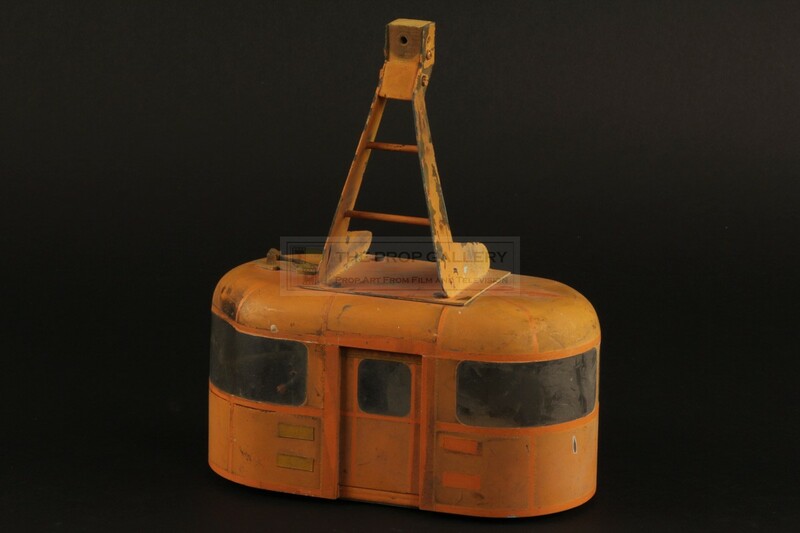 Affixed to the base are two miniature figures of plastic and plasticine to provide the illusion of passengers as the cable car makes its descent. 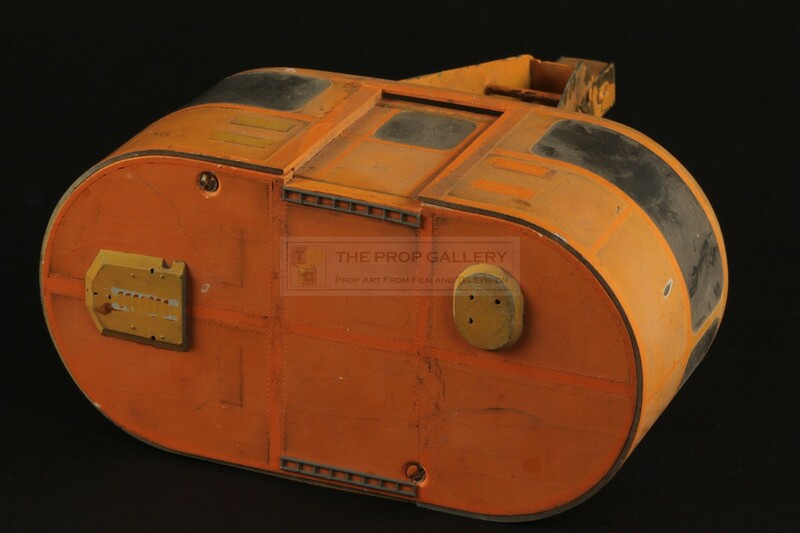 Finished in a distinctive orange paint finish the prop features panel lines of a differing shade and is finely detailed as you would expect from a Century 21 built filming miniature. 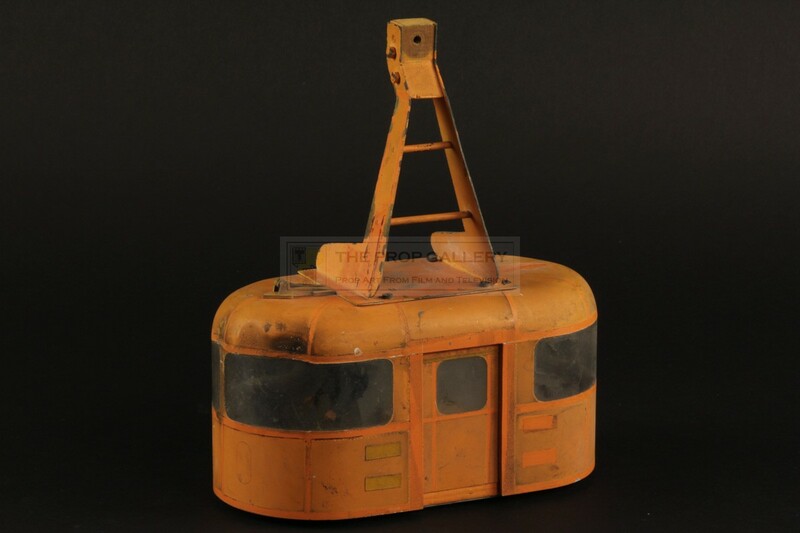 The cable car miniature measures approximately 7" wide and stands 8.5" to the top of the hanging gear, it remains is excellent condition for its age with minor paint loss and light soiling which we have made no attempt to remove. 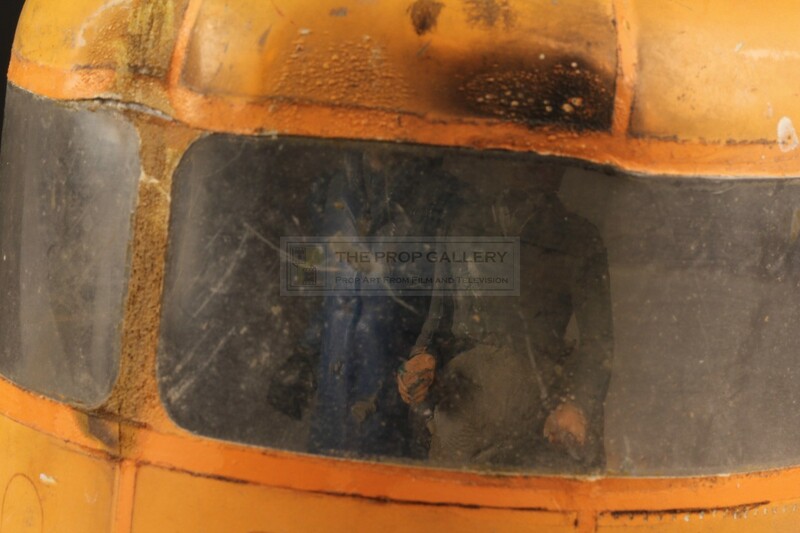 There is some minor heat damage to one side of the miniature but with the exception of this and the lacking of some minor kit part details it remains in fine screen used condition. 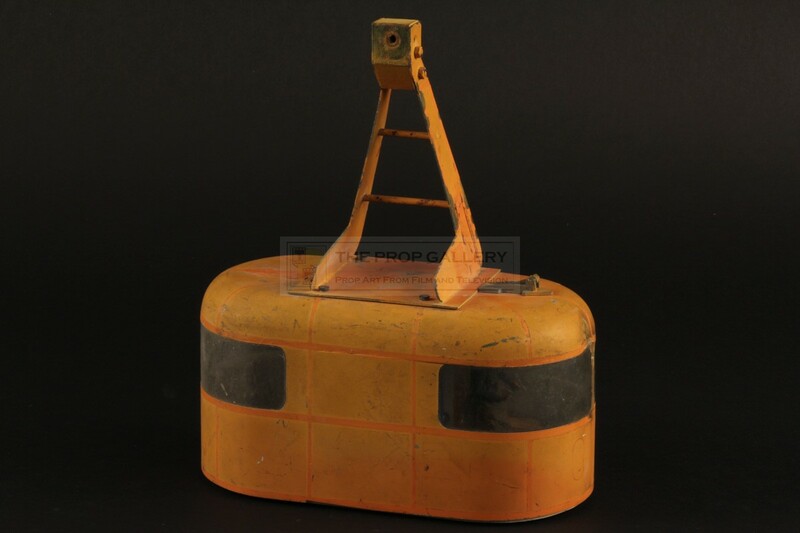 This represents a fine example of an original Anderson series filming miniature of which very few remain in existence today, a highly displayable and incredibly rare artefact from this highly regarded Gerry Anderson production.